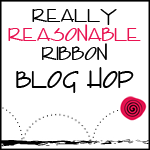 If you arrived here from the Really Reasonable Ribbon’s Ramblings Blog, you are on the right track. If not, why not head back to the RRR Blog and start from the beginning. This month the Really Reasonable Ribbon Monthly Ribbon Club Assortment is so summery. I just love all the red, white and blue. Makes me think of picnics, parades and summer fun!!! I started out with a card layering printed grosgrain styles on top of the pretty blue and red shimmer satins, but I was really thinking woven headbands this month, so I went ahead and experimented with them too. In case you missed my tutorial on how to make fun woven ribbon headbands, you can find it HERE. While I do love the look of solid colors in woven ribbon headbands, don’t discount printed ribbons. You can get some really fun and unexpected designs when you use prints. 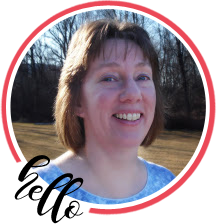 I thought the diagonal stripe ribbon (on the headband above) from the assortment would be a total failure, but look how cool this design came out…. I made some cute little bows as add-ons for the headbands. I attached the bows to ribbon lined alligator clips to you can move them, change them or even wear them separately if you want too. You can see the clip in the photo below. The alligator clip just slides in between the woven ribbons on the headband wherever you want to place it. Since I don’t have any little girls at home, I’m offering the three headbands below to a random commenter on this blog post. If you have a daughter, granddaughter, niece, or if you want to wear ’em yourself, let me know below. Please note in your comment if you are interested in being in the drawing for the headbands. The drawing is open to US residents only. Thank you. Bonnie, I just love the ribbons and the head bands! The ribbons in May are just stunning hun! The card and headbands are gorgeous. You make the most amazing bows! Your card is fantastic. I love the ribbon banners. Your headbands are soooo cute!! What little (or big) girl wouldn't love them. What a great idea to have the bow be moveable. Love your card. Love how you added the ribbon. Your headbands are wonderful. TFS.